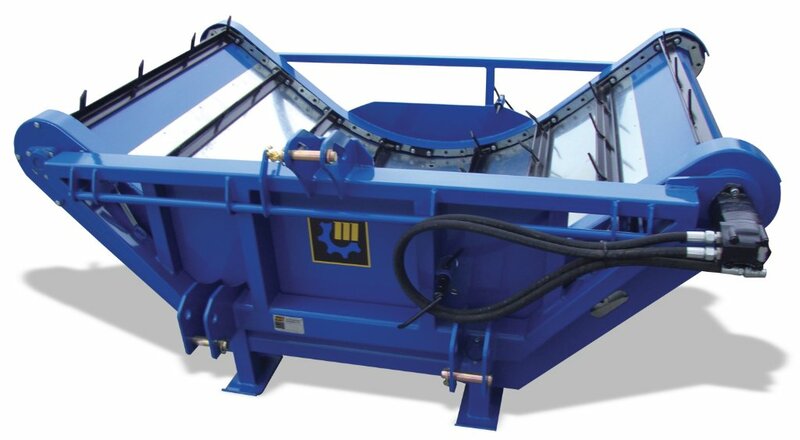 All details on the McIntosh Bale Feeder have been carefully thought out to reduce breakdowns and provide trouble free operation for years to come. 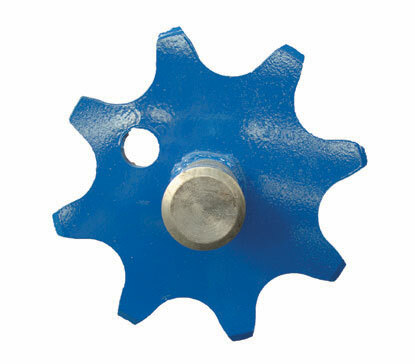 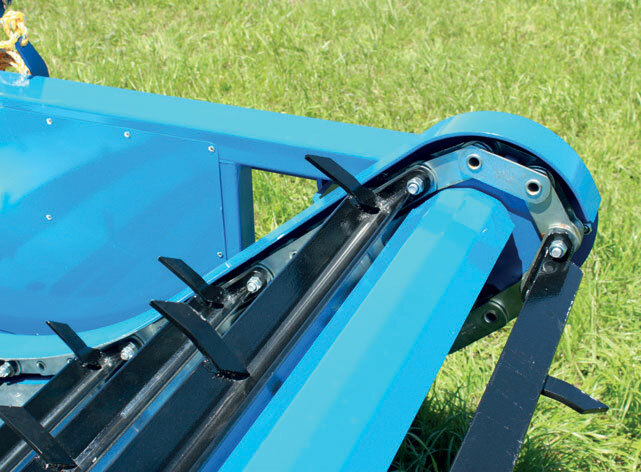 This bale feeder features 12,000lb zinc plated roller chains (the strongest available), 8 tooth sprockets and a larger American made hydraulic motor with 1 ¼” shaft. 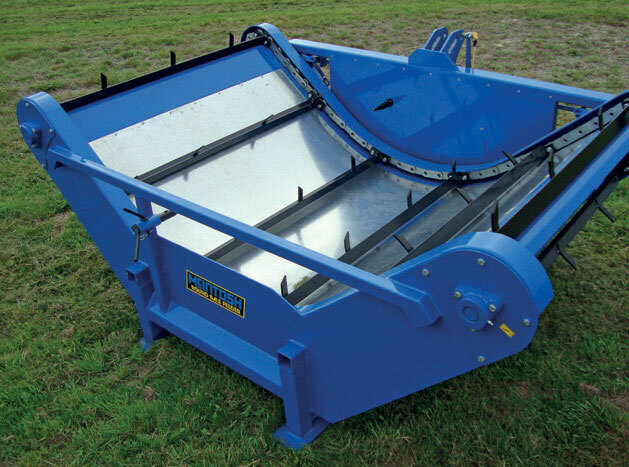 McIntosh Bale Feeders feature a deep V and a wide width construction that will hold the bale in longer as it rolls up the sides, reducing the need to change the direction of the feeder as often, and assisting when feeding out on the downhill side on rolling country. 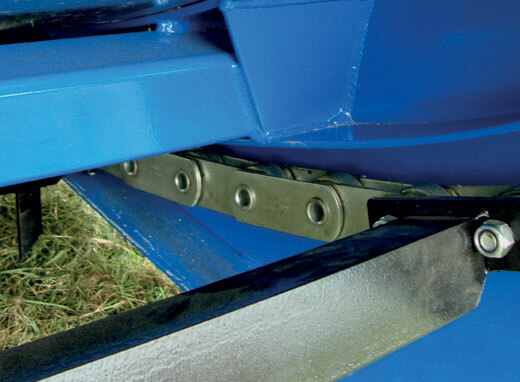 The cradle is intentionally short to help reduce the chance of bales twisting around and taking longer to feed out. 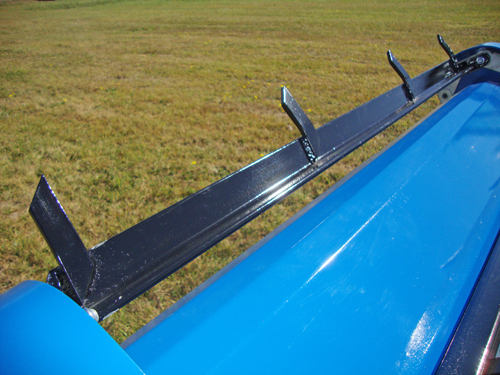 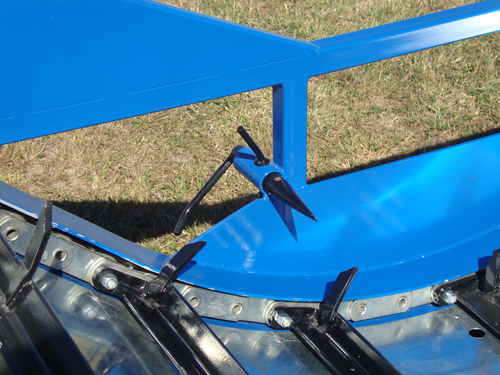 The high front and back bars help stop the bale from falling out when travelling and feeding. 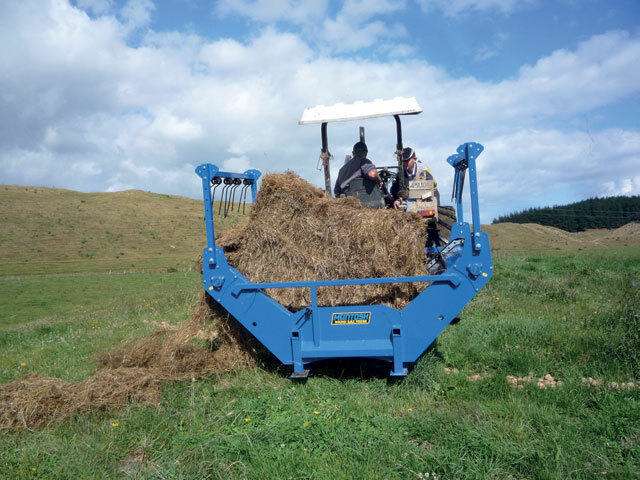 A short cradle with end bars will feed out better than a long cradle with wasted room and extra weight out the back of the tractor. 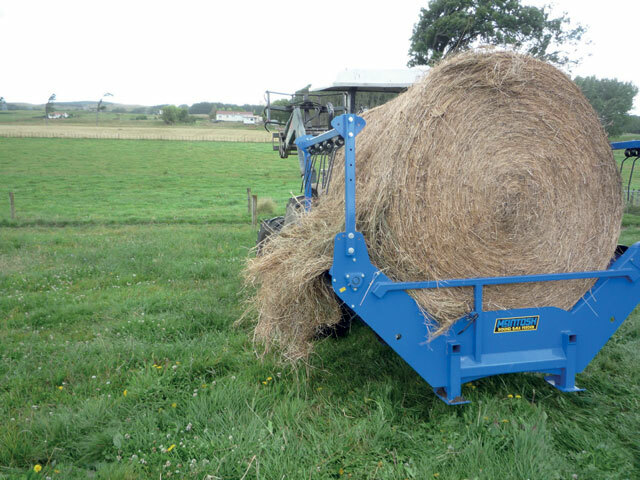 With no or short end bars bales can twist and fall out. 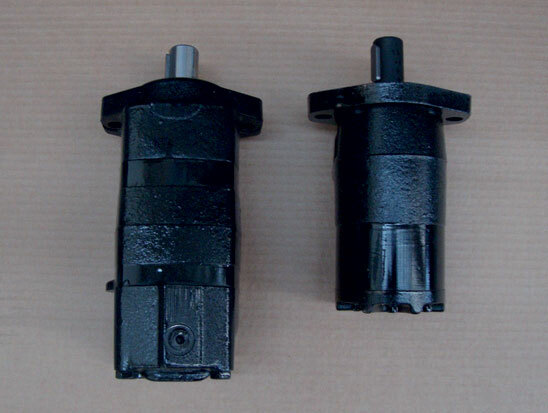 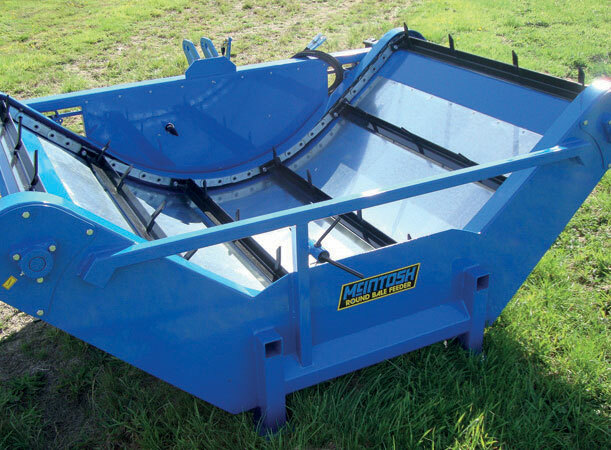 McIntosh Bale Feeders feature a deep V construction that will hold the bale in longer as it rolls up the sides, thus reducing the need to change the direction of the feeder as often, and assisting when feeding out on rolling country on the downhill side. 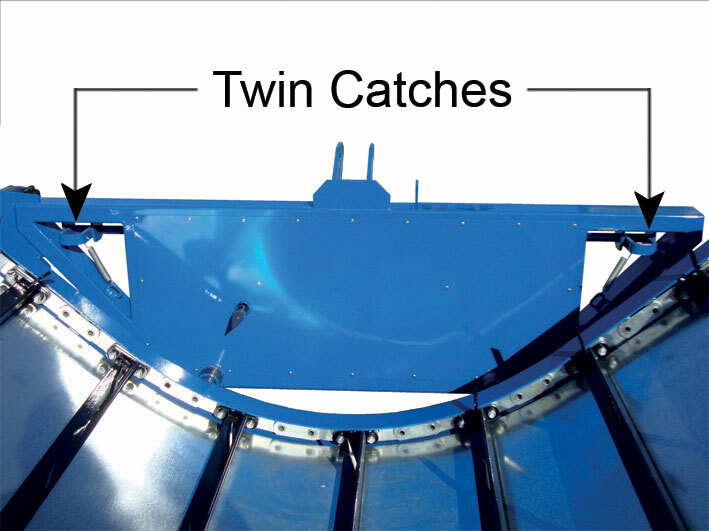 Every detail has been carefully thought out on the McIntosh Bale Feeder to reduce breakdowns and provide trouble free operation for years to come.